September is Get a Library Card Month! First, click on Patience the lion! Then click on the link to apply for your card! Fill out all the requested information. Author maryj59Posted on August 31, 2017 Categories ReadingLeave a comment on September is Get a Library Card Month! “What do you recommend?” Several people have asked me this when I’ve been sitting at the library Reference Desk. The first time, I was amazed to discover that we have close to 1,000 comedy DVDs in the North Castle library. When a patron and I started looking over the list, she was quick to point out that some of the movies that the film studios call comedies “don’t sound very funny.” A movie that had caught her attention was Cake, starring Jennifer Aniston. It’s about a mother who is suffering from debilitating physical and emotional pain in the aftermath of a car accident that killed her young son. This “dark comedy” is an interesting movie about grief and healing and is, in fact, one that I would recommend, but it’s not “rolling in the aisles” funny. It can be difficult to distinguish between the uproarious Robin Williams-style comedies, and more serious films with comic elements that are sometimes called “comedies.” In addition, much of what people find funny is a matter of personal taste. Jerry Lewis, who died this past week, was widely thought of as a genius in France, but never achieved quite the same level of acclaim in the United States. That’s why I was happy to see an online poll where people were asked, “What’s the funniest movie you’ve ever seen?” I then found another poll where comedians were asked which movies they thought were the funniest. The films they selected that are in the North Castle collection follow, in alphabetical order. If you don’t see your own favorite comedy, please add it in the comments! Before you plunk down your spare change on college, you might just want to have an idea what you want to study, if it requires a degree. It can only help to know what direction you’re taking. Here are some places to look for help. The United States Bureau of Labor statistics provides the Occupational Outlook Handbook. The Handbook looks at highest paying jobs, jobs with high growth rate, level of education required, types of training, and job projections, and gives you all the relevant information. 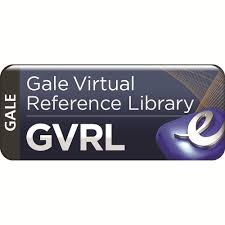 Gail Virtual Reference Library (library card is necessary), provides 14 titles that are geared towards preparing for careers that do not require a college degree, and help to discern if those careers are right for you. These careers range from clerical exams to public safety dispatcher. In addition, there’s help for those trying to get through school, such as Boarding School Survival and Teen Guide to College and Career Planning. For grown women, they have Learn, Work, Lead: Things Your Mother Won’t Tell You. In addition, have in your mind that you want to attend Graduate School, there are test prep guides that may help you decide if that’s in your future. College Board has a great search engine for exploring what careers you can have by doing what you love, and helps to determine your major. What’s My Major? Quiz If you must go to college, and you must know your major, you must take this quiz. I like this one because it visually represents where each question it taking you, and in the end there is one answer, but many other paths that show what your capabilities. Take charge of your destiny, and take some work of the desk of your Guidance Counselor. Chances are that your Guidance Counselor is looking at these sites to help keep you on track with the right classes, and the right help for your classes when you need it. NY Department of Education gives all the requirements you need to graduate from a public school in New York, explains the three types of diplomas and also contains some helpful links to help you through High School. First, Credit and Graduation Requirements, . Second, Diploma Requirements Worksheet, which is a good check-list to make sure you’re not scrambling your senior year to finish what’s required. Third, How to Read a High School Transcript. Making Your Major Decision Albany, NY: Peterson’s, 2013. 408 pp. This book explores various personality types and helps determine which college majors are best for each. It covers hundreds of college majors and careers best fit with each personality and shares how insights from the Myers-Briggs(r) assessment, the world’s most widely used personality tool, can help to succeed in college and life. Ahead of the Curve: What Parents Need to Know to Get Their Kids Into College Amber C. Saunders. Lawrenceville, NJ: Peterson’s, 2014. 205 pp. This book offers parents a comprehensive and fun guide to help them prepare their high school students for college. In-depth descriptions of available resources for those getting ready for college and checklists of tasks to perform, questions to ask, and tests to take so that students can keep track of application requirements are also included. Novels for Students Sara Constantakis, ed. Vol. 1-45. Detroit: Gale, 2014. 355 pp. Provides critical overviews of novels from various cultures and time periods. Includes discussions of plot, characters, themes and structure as well as the work’s cultural and historical significance. College Board gives you a plan, so that you’re not overwhelmed. Figure out your tests, understand who you are and why you belong in (fill in the blank). Identify your future career, by looking at yourself, your past and present. Figure out what High School classes you need to take, and what classes you’ve taken that you can use at what schools. Answer some easy questions, and get some idea of where you want to go, using their College finder search engine. Then go on to the next step. (Don’t worry, I know there’s more, you can come back later). SET A REGULAR STUDY SCHEDULE. In college, you are solely responsible for remembering to do your homework. Develop the study patterns in high school that will lead to success in college. Anyone who has ever pulled an all-nighter knows how difficult it is to function at a high level in school the next day. SAVE EVERYTHING. Develop an organized system for storing your papers. Stay on top of your materials, and be sure to save quizzes and tests. It is amazing how questions from a test you took earlier in the year can miraculously reappear on your final exam. LISTEN. Teachers give away what will be on the test by repeating themselves. If you pay attention to what the teacher is saying, you will probably notice what is being emphasized. If what the teacher says in class repeats itself in your notes and in review sessions, chances are that material will be on the test. So really listen. TAKE NOTES. If the teacher has taken the time to prepare a lecture, then what he or she says is important enough for you to write down. Develop a system for reviewing your notes. After each class, rewrite them, review them, or reread them. Try highlighting the important points or making notes in the margins to jog your memory. SET UP A DISTRATION-FREE STUDY SPACE. Now more than ever, a teen’s life is full of distractions. Unfortunately, if you allow yourself to be distracted while studying, chances are you will perform poorly at school. It’s critical that you study and do your homework in a well-lit, distraction-free space. That means no phones, TVs, loud music, or social networking, to name a few common distractions. CREATE YOUR OWN “REWARD SYSTEM.” Studying is hard work, and it’s even harder when it seems like one endless, mundane task. Make your study experience more enjoyable by giving yourself small rewards after completing smaller chunks of your homework. For example, treat yourself to a handful of M&Ms after you knock off your history homework, or give yourself a short break to go for a jog after finishing your English essay. DO YOUR HARDEST HOMEWORK FIRST. If you put off your most dreaded, difficult subject of homework until the end of the night, you will be mentally drained by the time you start it. Even though it’s tough to confront your most challenging homework at the very beginning of your study time, you will feel so much better after you finish that subject. You can even use this to gain some positive momentum and feel good as you start the rest if your homework, instead of having a real challenge hanging over your head for the whole evening. MANAGE YOUR TIME WISELY. Devise a system that works for you to note your short- and long-term assignments, projects, and tests. An old-fashioned paper study planner still works wonders for your time management skills! Be sure to write everything down in this notebook even if your teachers post your assignment online. Having your week planned out all in one place can help you find openings in your schedule and be more productive. Experts recommend using as many ways to study for the test as you can. Our library offers three online venues. Get your library card ready for the second two venues. (Go directly or through our homepage, under Educational Resources). Khan has available the full length SAT, SAT Math Practice, SAT Reading and Writing, and SAT tips and strategies, along with tests for graduate and nursing programs. Learning Express Library (with your Libary Card): Practice for the ACT, SAT, PSAT/NMSQT, and AP Exams. Sharpen your Math, Reading, Grammar and Writing, and Science skills in the Learning Express College Preparation. Lynda.com (with your library card): Lynda offers help via cheerful videos on preparing for the PSAT, ACT, SAT, from understanding the scoring and structure, studying techniques, pacing, understanding the questions, and reviewing the essays. Whether you need extra help in a subject, or you want to make sure your requirements are filled, or you are thinking ahead to what your major will be and how to set yourself up for that during High School, NCPL can help with online sources. Have your library card ready for some ebooks. Making Your Major Decision Albany, NY: Peterson’s, 2013. 408 pp. This book explores variouspersonality types and helps determine which college majors are best for each. It covers hundreds of college majors and careers best fit with each person-ality and shares how insights from the Myers-Briggs(r) assessment, the world’s most widely used personality tool, can help to succeed in college and life.